Traditional Venetian hand made jester full face mask is beautifully decorated with brocade fabric, festive paint, and jingle bell detail. Made of lightweight strong plastic for a comfortable wear. 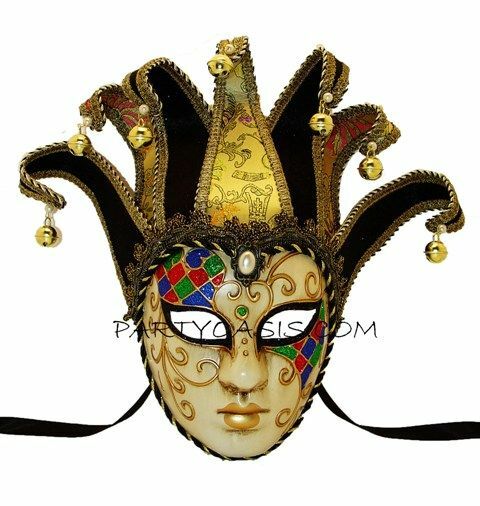 Perfect as a part of Carnivale, Halloween, or Masquerade Mardi Gras party costume. Mask has two ribbons for wearing or can be hung for display.